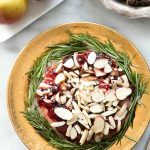 Cranberry Pecan Goat Cheese Appetizer - Easy 4-Ingredient Recipe! 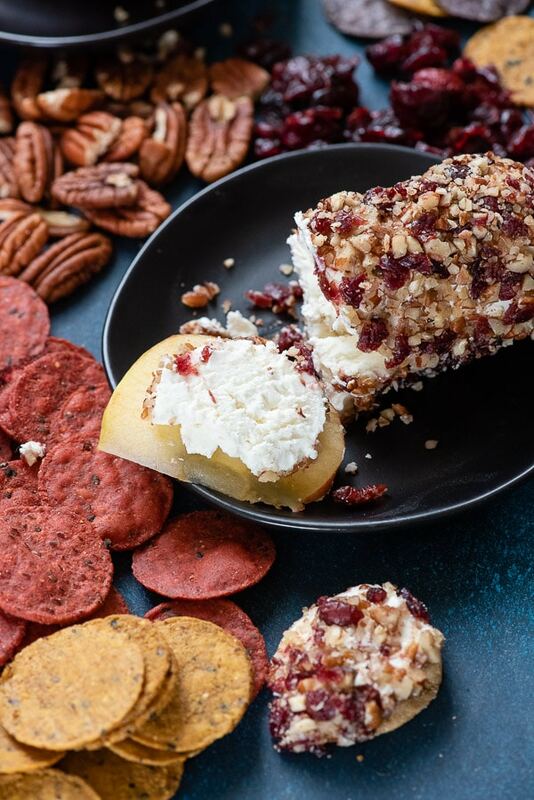 Cranberry Pecan Goat Cheese appetizer rolls are made with four ingredients and whipped up in a flash. Sweet, tangy, crunchy sliceable rolls that are perfect for easy holiday entertaining. ‘Tis the season of entertaining, parties, gatherings and large holiday meals. Great appetizer recipes are a necessity but no one has time to toil over creating them, especially if guests drop by at the last minute. 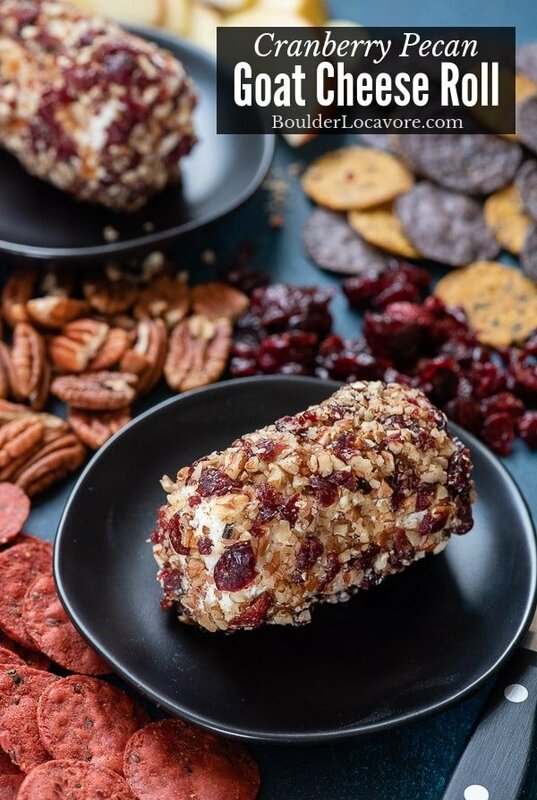 My very favorite holiday appetizer (that CAN be made all year long) is a Cranberry Pecan Goat Cheese appetizer roll that takes 4 ingredients and just a few minutes to prepare! 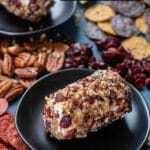 What is Cranberry Pecan Goat Cheese Appetizer Roll? A sliceable roll perfect for serving with crackers or sliced fruit! 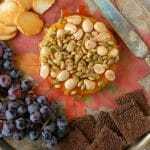 It combines tangy, sweet, salty flavors with a nice soft and crunchy texture so all bases are covered. 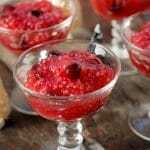 It takes only a few minutes to make but does best with some chilling time after being made so is perfect to make ahead and be on the ready for Thanksgiving or entertaining. 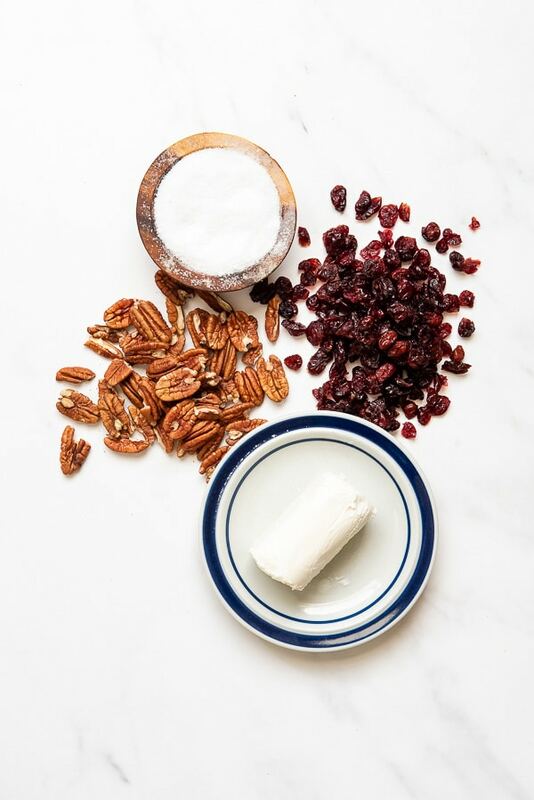 What are the ingredients in the Cranberry Pecan Goat Cheese appetizer? 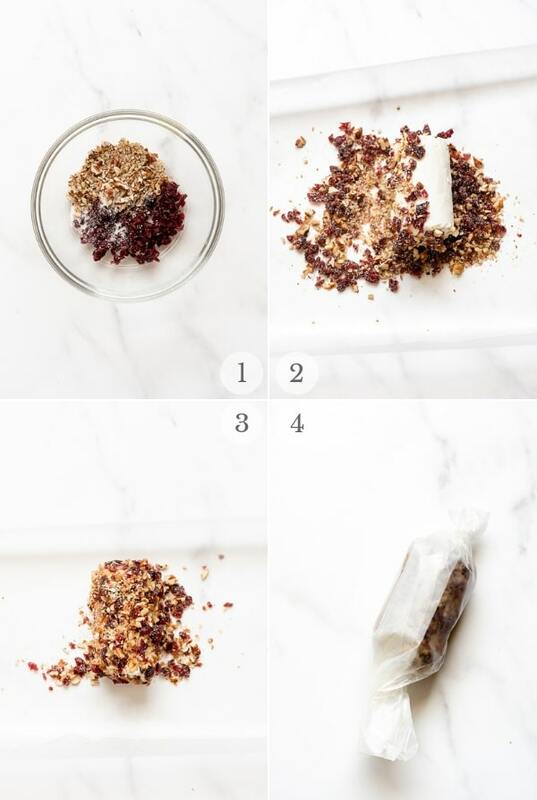 The recipe name gives away three of the four ingredients: dried cranberries, pecans, goat cheese and salt. That’s it! Make sure the goat cheese log is room temperature before rolling it in the cranberry pecan mixture. This allows the coating to stick well to the outside of the goat cheese. Chop the dried cranberries and pecans into small pieces. Smaller pieces adhere to the goat cheese better. Once rolled and wrapped in wax paper, chill until firm, preferably overnight. This allows everything to set and the coating to stay in place when serving! It’s the perfect on a larger cheese board or with various appetizers. TIP: Goat cheese is a soft cheese so serving the goat cheese appetizer roll with a soft cheese knife as shown in the photos works well. How Many Does the Goat Cheese Appetizer Serve? Typical goat cheese rolls are 4-ounces in size. If this goat cheese appetizer is served with multiple appetizer, one roll can serve 2-4. If only serving a few appetizers plan on one roll serving 2. They are pretty addictive! Allow goat cheese to sit at room temperature at least 15 minutes. Combine the chopped dried cranberries, pecans and salt in a small mixing bowl (photo 1). Place a piece of wax paper (large enough to wrap the goat cheese when done) on the counter. Spread the cranberry-pecan mix on the wax paper amd place the goat cheese on top (photo 2). Roll the goat cheese applying light pressure on the mixture to coat (photo 3). TIP: place the ends of the goat cheese roll in the mixture to coat before rolling the rest of the roll. Wrap the wax paper around the rolled goat cheese, twisting the ends tightly closed (photo 4). 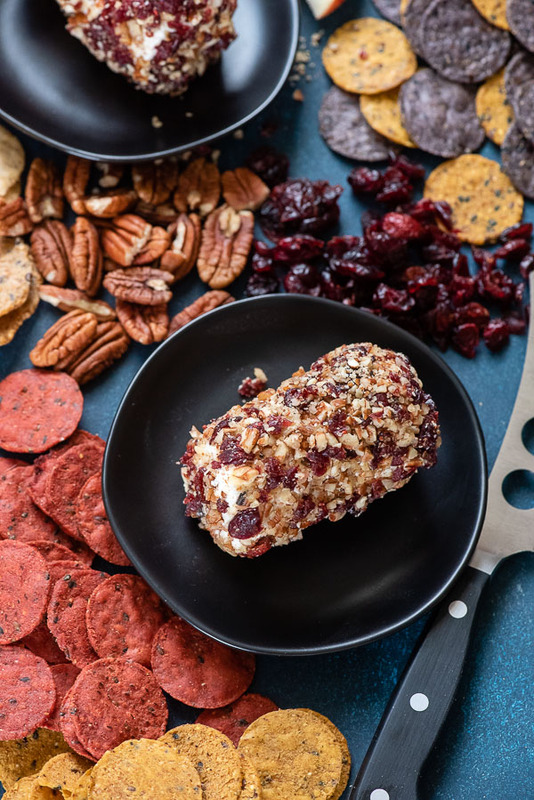 If you’ve made this Cranberry Pecan Goat Cheese appetizer recipe please RATE THE RECIPE below! This fast and easy appetizer features flavors perfect for holiday entertaining. Allow goat cheese to sit at room temperature for 15 minutes. Add cranberries, pecans and salt into a small bowl; stir to fully combine. Lay a piece of plastic wrap or wax paper on a countertop (large enough to wrap fully around the goat cheese). Place cranberries, pecans and salt on the plastic wrap in the center in a wide strip to allow rolling the goat cheese. Roll goat cheese in the mixture to fully cover. Wrap and refrigerate until serving. This is great to add to any Holiday party! Looks so good! What an awesome appetizer and one I haven’t heard of before. I might have to try this one, I love goat cheese. Yummy! looks like a great appetizers. I was looking for new recipes to use cranberries outside of a thanksgiving gift. That looks so delicious. It’s one of my favorite cheese combos, and I am pretty sure I already have the perfect crackers for this in the cabinet. I’m from a gigantic family. When dealing with feeding a crowd, simple is best. But that doesn’t mean we don’t want all the yummiest dishes. The goat cheese roll looks so easy to prep and so good! You never disappoint, when it comes to main dishes, snacks, drinks, etc. 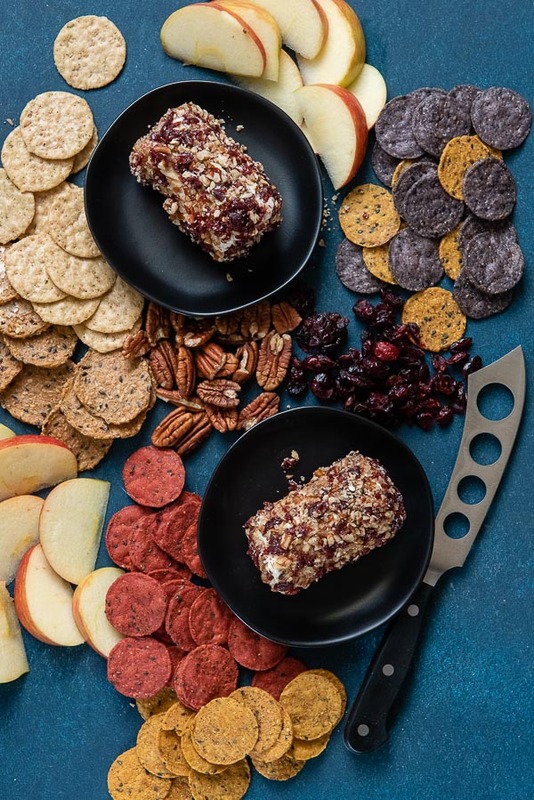 You had me at cranberries and pecans! The most amazing party food ever!! This cheese rool couldn’t look any more perfect for appetizer! I have to put this on my holiday menu! I LOVE goat cheese!! 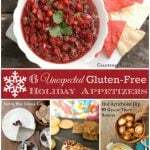 This is the perfect appetizer for the holidays!! I love any recipe made with cranberries. This one sounds and looks really delicious as an appetizer for Thanksgiving guests. What a fantastic festive appetizer! So incredibly easy and impressive. Great holiday app!